Did you know that you can turn your Campbell Scientific data logger into a Modbus TCP/IP slave? Do you know why that’s a good idea? Campbell Scientific data loggers are commonly used as Modbus slave devices. This means that the data logger is configured to implement the Modbus communications protocol and listen for Modbus polls from a Modbus Master, such as a SCADA (supervisory control and data acquisition) system. Turning your data logger into a Modbus TCP/IP slave is a great way to allow systems that use the Modbus protocol to have access to your live measurement data. To better understand how this works, we’ll go through an example exercise to show the basic concepts of how to implement the Modbus protocol on a CR1000 datalogger. We’ll use a CR1000 datalogger connected to a SCADA system. You may remember our previous discussion about SCADA systems and Modbus from the “Why Modbus Matters: An Introduction” blog article. The CR1000 datalogger in our example is connected to a SCADA system using an NL121 Ethernet Interface. Therefore, we need to program our data logger to listen to Modbus polls on the appropriate communications port and to respond with our most current measured data. To do this, we need to use the ModbusSlave() instruction, declare a variable array to hold our Modbus data, and then update that array with our measurements. Let’s take a closer look at the ModbusSlave() instruction we added to the program code. The instruction is added between the BeginProg and Scan statements. The ModbusSlave() instruction is placed between these two statements because it only needs to execute once at compile time rather than being executed during each scan. COMPort: This parameter defines the communications port over which the data logger listens for Modbus polls. In our example, we use 502, because we are using an Ethernet connection and 502 is the default Modbus TCP port. BaudRate: We use this parameter to set the baud rate of the communications port. In our example, this parameter (0) is ignored because our communications are over an Ethernet connection. 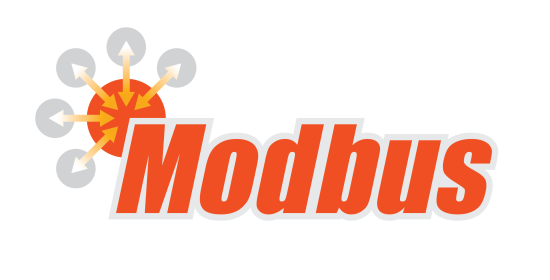 ModbusAddr: This parameter sets the Modbus address (or device ID) of the data logger. In our example, we set our data logger to have an address of 1. ModbusBooleanVar: This parameter is used to define a Modbus Coil Map and holds the result if a Modbus master device sends a discrete on/off command to the data logger (that is, 01 Read Coil/Port Status, 02 Read Input Status, 05 Force Single Coil/Port, 15 Force Multiple Coils/Ports). If a 0 is entered for this parameter, the discrete commands are mapped to the data logger control ports C1 to C8, and a compile warning is generated. In our example, I have created a variable to act as a coil. ModbusOption: This is an optional parameter that defines the data type of the Modbus variables and the byte order. In our example, I have chosen to format our Modbus Map floating point variables with the byte order ABCD. The example exercise above outlines how you can accomplish a simple Modbus TCP/IP slave implementation by programming a CR1000 datalogger in CRBasic. Please note that the Short Cut program generator also has the capability to generate the code we have discussed above. By taking advantage of the concepts shown above, you can add more measurements to your program, as well as to the Modbus Register Map of your data logger. The result is that your SCADA system can access live measurement data for a more complete weather station implementation. You can look forward to blog articles in the future with more details on specific Modbus topics, common pitfalls, and best practices. In the meantime, share any Modbus comments or questions you have below. I've been trying to set up a ModBus TCP server on a CR1000 with no success so far. I'm testing the server with an Obvius Acquisuite 8810 ModBus TCP client, which has not yet established communition with the logger/server. We're pretty good with ModBus here, but not as good with network communication. 1) With the ComPort parameter of ModBusSlave set to 502, to which physical port should the NL121 be attached? I assume it's the RS-232 port. It's interestinng that, whichever of the 2 possible answers (RS-232, CS I/O) is the case, there will be ModBus TCP transmitted over a serial cable. 2) With the ComPort parameter of ModBusSlave set to ComRS232, is the CR1000 a ModBus RTU server? This must be the case to avoid ambiguity with the TCP server, but I've seen no mention of RTU in any Campbell literature. Are you using an NL201 rather than an NL121? An NL121 will only connect to the peripheral port of the datalogger, whereas an NL201 can connect to the RS-232 port or the CSI/O port of the datalogger. If you are using an NL201, then you will need to configure the NL201 either in bridge mode or as a Modbus TCP gateway. If you configure it as a Modbus TCP gateway, then your datalogger will need to use the appropriate port (RS232 or CSI/O) and will function as an RTU. If the NL201 is set up in bridge mode you will connect it to the CSI/O port of the datalogger and use port 502 in the ModbusSlave instruction. RTU vs Modbus TCP/IP is determined by the port selection in the ModbusSlave instruction. Make sure baud rates and ports in the ModbusSlave instruction match the settings of the NL201. I would recommend taking a look at the settings for the NL201 using Device Configuration Utility. 1. Is port 502 set by the Modbus master? Should I verify with the client that they are indeed using 502, or can that not be changed? 3. Can you recommended any modbus master simulators for Windows 10 (besides Modbus Poll)? Port 502 is the default port that is typically used. The datalogger can use other ports, but you will need to confirm with the master that it is a match to the port that the datalogger is using. You can use the 8-value boolean array if you are expecting the master to set those coils in the datalogger. However, in my program I was not expecting this, so I simply used a single value. The only reason to do this was to avoid a warning when I compile the program. If you are not using these coils, then it does not matter. I've spoken to some of our customers that use ModScan as an alternative to Modbus Poll, but have not used it myself. Where will store the measurements ModbusRegisters() in your program? Yes, that is correct. The measurements will also populate the Input Registers. You mention at the end of the article that the modbus code can be generated using ShortCut. I've given it a first try, but haven't been able to see anyway to do that with ShortCut. Is there something obvious I'm missing? Is it possible to configure CR1000x as Modbus TCP Master? Yes, the CR1000X can be set up as a Modbus TCP Master. Instead of using a ComXXX for the ComPort parameter for the ModBusMaster() instruction, you would use the handle of the socket created with TCPOpen().